Federal regulators recently voted to lift 80-year ban against it. The one action every savvy investor ought to take before investing? Do your homework. While due diligence may take on a different face depending upon one's position -- investor or professional money manager -- not paying attention to how and where your money is managed can open up a Madoff kind of Pandora's Box. And no one wants that to happen -- again. Verify all of the hedge fund's providers. That means finding out whether the fund has a quality auditor in place and is one that is registered with a Public Company Accounting Oversight Board. This private-sector non-profit organization was created by the Sarbanes-Oxley Act to oversee the auditors of publicly traded companies. Contact the fund's auditor and obtain copies of current and past audits. "You want to review those audits because they'll tell you things like how much money the fund manages, if the assets they say they have are correct. And give you affirmation on the performance (the fund) is posting," Rapoport said. "That's very important." Become familiar with the hedge fund's administrator and administration firm. The administrator keeps the fund's month-to-month accounting records and produces the net asset values (account statements) for investors. Sometimes the administration firm also has to sign off on any fund-related money movement. "Money cannot be moved out of accounts, not out of the brokerage accounts, the limited partnership accounts, etc., without the administrator signing off on that money movement," Rapoport said. Ask for a copy of the Due Diligence Questionnaire. In it will be background information about the fund managers, their investment strategy, how they employ that strategy and a list of the fund's third-party providers. "It (the questionnaire) will provide you with a wealth of information about the organization as a whole so you can get comfortable with not only the fund and the performance, but the people behind the fund and the strategy that they look to employ, " Rapoport said. Hedge fund advertising has been prohibited for a long time, but the U.S. Securities and Exchange Commission recently voted to repeal its 80-year ban. What that means to the advertising world and wannabe hedge-fund investors might not be what you think. The Securities Act of 1933 prohibited hedge funds and other firms offering private placements from advertising to the world at large. But the JOBS Act signed by President Obama in 2012 nixed that. And the SEC approved the change. Along with making it easier for small and start-up companies to raise capital in hopes of creating jobs in the sluggish economy, the hedge fund advertising section of the Jumpstart Our Business Startup Act seems a little strange. Particularly because the odds are small of hedge fund advertising creating thousands of jobs and bringing in tens of thousands of new investors. For a couple of reasons -- the size of the hedge fund industry and the accredited investor rule. First, the industry: While estimated to be a $2.4 trillion industry, assets are spread among thousands of funds. 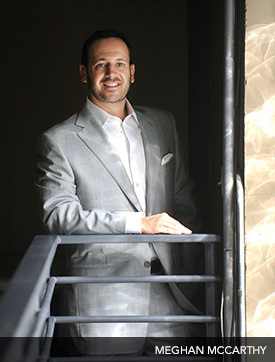 Evan Rapoport, CEO of HedgeCo.Net in West Palm Beach, estimates between 12,000 and 15,000 hedge funds exist. He says: "Seventy-three percent of hedge funds are considered 'emerging' and manage less than $100 million in assets. These groups are typically small, with only a handful of employees." According to Steve Schoepke, a New York-based security industry consultant, offers this: "Of the thousands of hedge funds in existence, the majority of them are simply one- and two-man shops. So while being able to advertise offers them exposure, how many funds will take advantage of advertising is still a big unknown." While investors are most likely to see advertisements coming from larger firms, Rapoport said that advertising or not, firms will still be advertising to "the 99 percent-plus of an audience that cannot invest with you." That said, some pros think that advertising hedge funds could revolutionize the hedge fund industry by allowing ads on television and radio, as well as in print and online media. But new ruling or not, only accredited investors will be allowed to invest. Here's how the SEC defines an accredited investor: "A natural person qualifies as an accredited investor if he or she has individual net worth - or joint net worth with a spouse - that exceeds $1 million at the time of the purchase, excluding the value of the primary residence of such person. Or, if he or she has income exceeding $200,000 in each of the two most recent years or joint income with a spouse exceeding $300,000 for those years and a reasonable expectation of the same income level in the current year." That means these investments -- often thought of as seductively secret investments fit for only a few -- will remain fit for only a few. Of course, not everyone is in favor of these advertising changes. The Investment Company Institute, the trade association for the mutual fund industry, isn't a fan, said President Paul Schott Stevens. The institute's statement from Stevens on the subject reads in part: "Capital formation thrives in an environment where investors have confidence that they are appropriately protected. We are disappointed that the SEC has failed to adopt common-sense consumer protections that should have been part of this rule-making from the outset..."
Schoepke worries that advertising hedge funds could mislead investors who may qualify as accredited investors but know little about hedge funds and how they are managed. Additionally, the new SEC guidelines could make a difference for some who already are hedge fund investors. "One of the big rules that have come out is the fund now has to certify that all investors are accredited investors," says Rapoport, who has built an internationally recognized hedge fund news and investment firm in West Palm Beach over the past 11 years. He explained that accreditation also has to be verified by a third-party source. Another change: "Most people don't realize it, but a hedge fund can have up to 35 non-accredited investors. So if the hedge fund chooses to advertise, it no longer can have those investors, and they will have to be removed." On the plus side of the ledger, lifting restrictions on advertising, allowing media interviews and putting information online and on websites will help build awareness. And the big brand names in the hedge fund world, such as BlackRock, JPMorgan Chase and Guggenheim, could see more competition. Whatever the results of hedge fund advertising wind up being, three things are not to be overlooked: Hedge funds are expensive vehicles to invest in, their performance is not always stellar, nor is it guaranteed. "I know it sounds simplistic, but you've got to know what you're investing in before investing, " says Schoepke, "if you are going to advertise is that you (the hedge fund) cannot have non-accredited investors in your fund."